1. 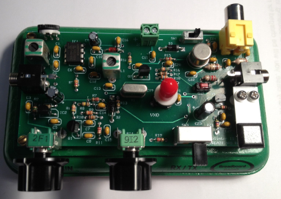 40 meter DC receiver with improved audio. 2. Sidetone volume is now variable. 3. 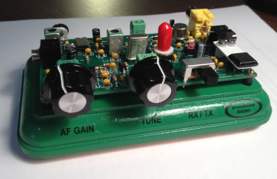 Higher RF output with cool running final (500-650 mw). 4. New switching transistor allows use of electronic keyers. crystals 5 to 7 kHz! 7. Spot switch for zero beating. 9. Built-in key and external key jack. 14.Easy to build…even more fun to use!